Congratulations on your upcoming wedding! We know that planning a big celebration with the ones you love can be stressful, and although it will be the most magical day of your life, you’re probably ready to skip to the honeymoon. 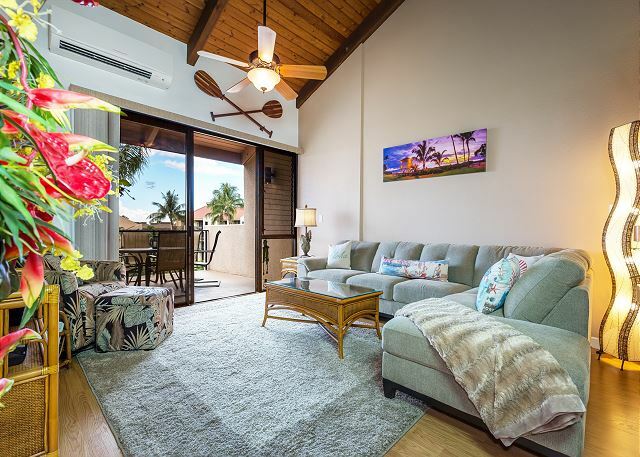 How about treating yourself to a relaxing vacation on a Hawaiian island? On a Maui honeymoon, you can expect peace, privacy, and plenty of activities to enjoy together. Read on for details and begin crossing things off of your to-do list! 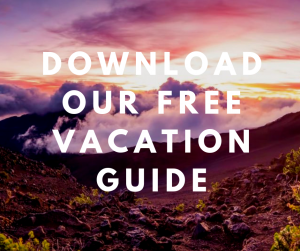 We even offer a free Destination Guide to make the planning process easier. When organizing your honeymoon, the first thing you need to decide is where to stay. Indeed, you’ll want something comfortable, romantic, and quiet, so you can catch up on all the sleep you’ve missed from planning your big day! 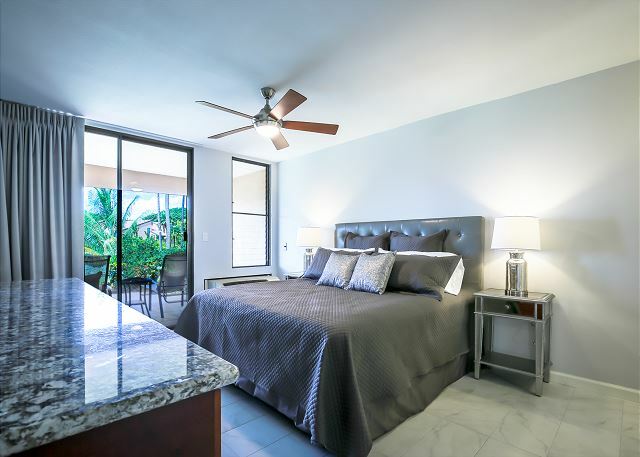 Our luxurious condos and homes are ideal for newlyweds. 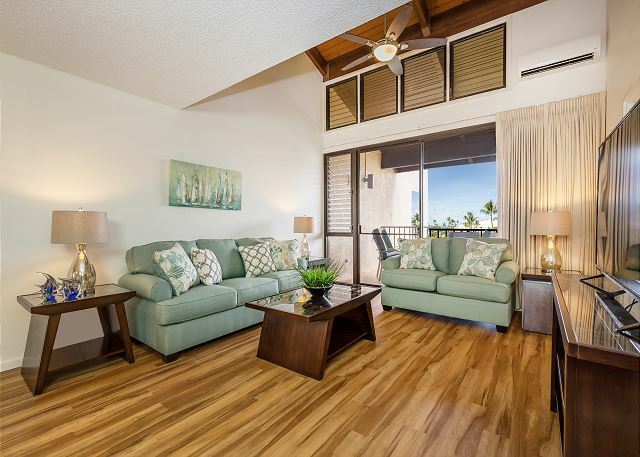 Take a look at Kamaole Sands 3-104, for example. You’ll love its romantic feel and earthy decor! Take a hot shower, slip into something comfortable, and open a bottle of wine to celebrate together. After a delightful night’s sleep, make yourself breakfast and admire the glorious island views from your terrace. Then, you can put on your bathing suit and enjoy our pool and whirlpool tubs. Trust us, you will feel relaxed and rejuvenated in no time! Give yourself a couple of days to adjust, then get ready to explore the wonders of our island! There are so many incredible things to do on Maui. You can visit scenic beaches like Ka’anapali and Kama’ole, or if you’re feeling adventurous, go snorkeling at Molokini Crater or surfing at Honolua Bay. Other excellent honeymoon activities include driving the Road to Hana, attending a Te Au Moana show, and indulging on a sunset dinner cruise. Speaking of dinner, we have a feeling you’ll love Maui’s fresh, colorful cuisine! Add some flavor to your honeymoon at Morimoto, a world-class eatery that offers gourmet dishes and jaw-dropping views of Mokapu Beach. Or, plan to dine at one of Maui’s most famous restaurants, Mama’s Fish House. It’s the best place to try freshly caught fish. Don’t forget to try the most delicious fish tacos on the island and end your day with a mouthwatering cup of shave ice! Are you ready for the honeymoon of a lifetime? PMI Maui offers the backdrop to the perfect vacation on our gorgeous Hawaiian island. 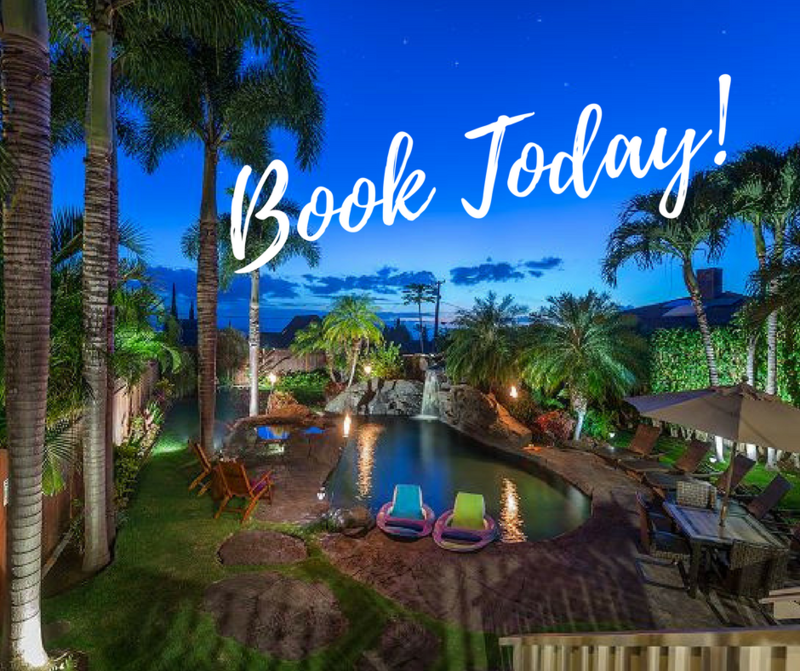 Share precious moments with your new husband or wife and allow our luxurious South Maui rentals to make your dreams a reality. 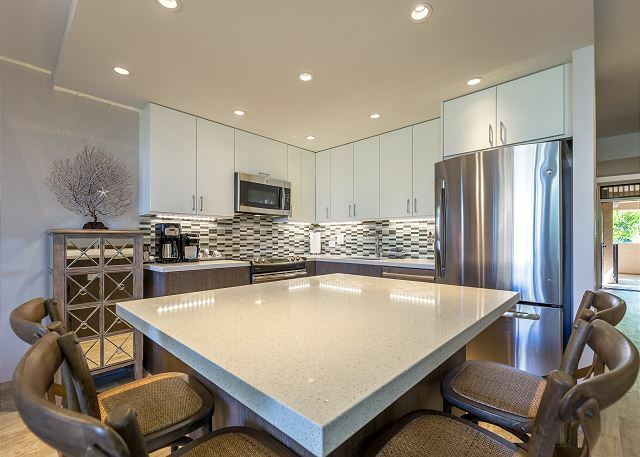 Browse our homes and pick the one you prefer today!